Worldwide, the prevalence of chronic diseases, such as obesity, diabetes, cardiovascular diseases, cancer, non-alcoholic fatty liver disease, inflammatory (autoimmune) and neurodegenerative diseases, has shown a sharp increase. In the last 20 years, developing countries and the young population have presented the largest augment in the incidence of these diseases, which evidences that they are not only limited to developed countries nor the adult population. These pathologies have in common a complex interaction between genetic, metabolic and environmental factors. 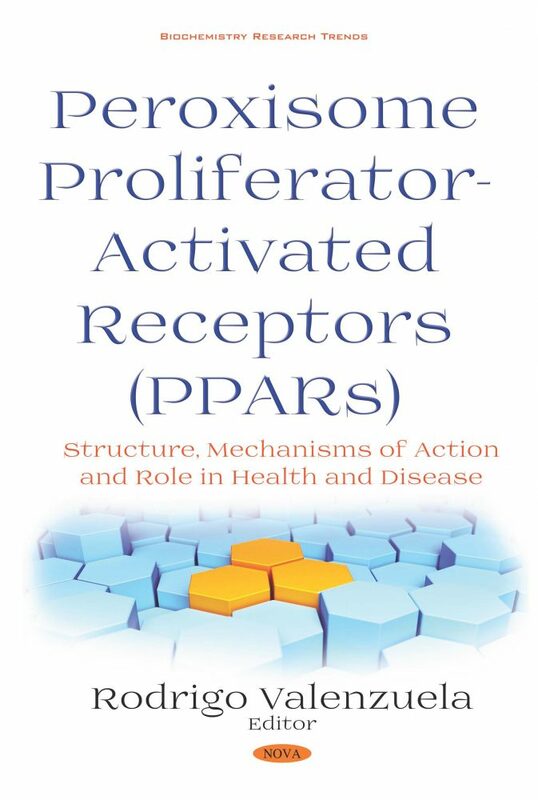 In this context, several basic and clinical researches have demonstrated the relevance of the expression and activity of the peroxisomal proliferator-activated receptors (PPARs) as fundamental elements in the prevention and treatment of chronic diseases. PPARs are a family of transcription factors that control many cellular metabolic processes. PPAR isoform expression and activity is regulated in different tissues according to physiological processes (growth, development, and aging) and to pathological conditions (cardiovascular diseases, inflammatory diseases, neurodegenerative diseases, hepatic diseases, among others). Also, different compounds such as drugs (fibrates), nutrients (long-chain polyunsaturated fatty acids), and several natural bioactive compounds (polyphenols) are molecular regulators of PPARs expression and activity. Recent research has established the importance of the regulation of PPARs activity and their role in cell and tissue protection against injury (i.e., oxidative stress, inflammation, endoplasmic reticulum stress). This book is dedicated to reviewing the state of the art regarding PPARs regulation with an emphasis on molecular aspects underlying their effect in health and disease. Specifically, the participation of PPARs is discussed in insulin resistance, inflammation, NAFLD, DM2, cardiovascular disease, hypertension, obesity, gastrointestinal disease, and neurological health and disease. Moreover, this book reviews how different molecules regulate the expression and activity of PPARs. Finally, the scientific information presented in this book pretends to contribute to a greater understanding of PPAR role in the prevention and treatment of different pathologies and metabolic alterations. Chapter 5. Cardiovascular Risk and PPARs: The Good Ones or the Bad Ones?